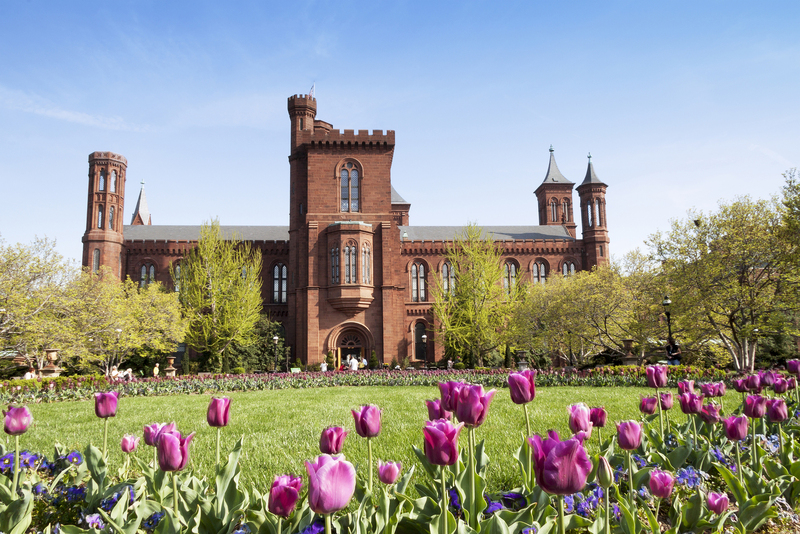 Part of the Smithsonian Museum is the National Museum of the American Indian, which displays several artifacts representing Native American tribes throughout the United States. It’s part of a network of three museums dedicated to the Native American people, located alongside the National Air and Space Museum and the U.S Capitol. This museum was only opened in 2004, which makes it extremely young by Washington’s standards. It adds a much needed modern touch to the city; however it was designed in the early 90’s. It took almost 15 years to build the structure and upon its opening it was the only museum dedicated solely to Native American heritage in the country. The structure takes up 250,000 square feet and there are five floors within the building. It is curve shaped and was constructed using Kasota Limestone, to be reminiscent of the rock and water elements of the land. It is designed to look as natural as possible and have a flow to the building, which was almost unheard of at the time. The surrounding grounds are manmade wetlands, which are also designed to bring the structure back to nature. Thanks to input from the Native American people there is also a performance area that is used to put on traditional dance shows and festivals. This National Museum of the American Indian was originally built to make reparations to the community on the part of the Smithsonian. They had held artifacts and remains within their museum that were later returned to their people. For the next year, this museum is also playing host to an extensive exhibition on the treatment of Native Hawaiians. This is an interesting period of history and it covers the takeover and subsequent removal of the Hawaiian royal family. If students are studying these periods of history, then this can be an excellent addition to their learning. The stories and culture come alive at this museum through living exhibits and in depth information. Currently at this museum, there’s also an art exhibition, which may pique the interest of many fans. It’s a retrospective look at the life and works of Native American artist Kay WalkingStick. These paintings, models and sketches go from her first steps into the art world all the way through to her later years. There is also an exhibition this year centring on the Inka people and their quest to create the Great Inka Road. This huge network spanned over 20,000 miles and was built to connect Cusco, which functioned as the nation’s capital, to every other city and village in the land. This was a massive undertaking that required bridges, paths and roads to be built by the people. The exhibition looks back at how this would have been possible and the technology that they would have used. It also goes into detail about the politics and the governance of one of the largest nations to ever have existed. This exhibition will run until 2018 and it boasts artifacts, replica tools and video footage of the most inaccessible areas of the road.